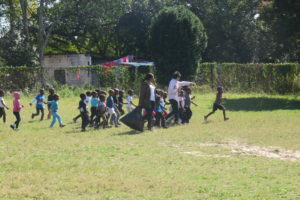 Mandela Day is celebrated every year on the 18th July and people from all over the world are encouraged to spend at least 67 minutes (1 minute for every year of Madiba’s public service) doing something positive for their communities. This day has grown from honouring Madiba’s life and legacy to becoming a global movement to honour his life’s work and act to change the world for the better. This year’s Mandela Day is extremely special because it marks what would have been Madiba’s 100th birthday. 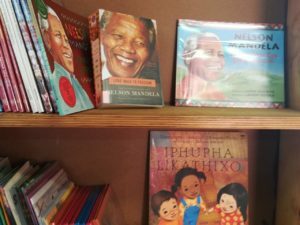 Biblionef has taken part in various activities to commemorate Nelson Mandela’s centenary, below is a look at what we got up to. 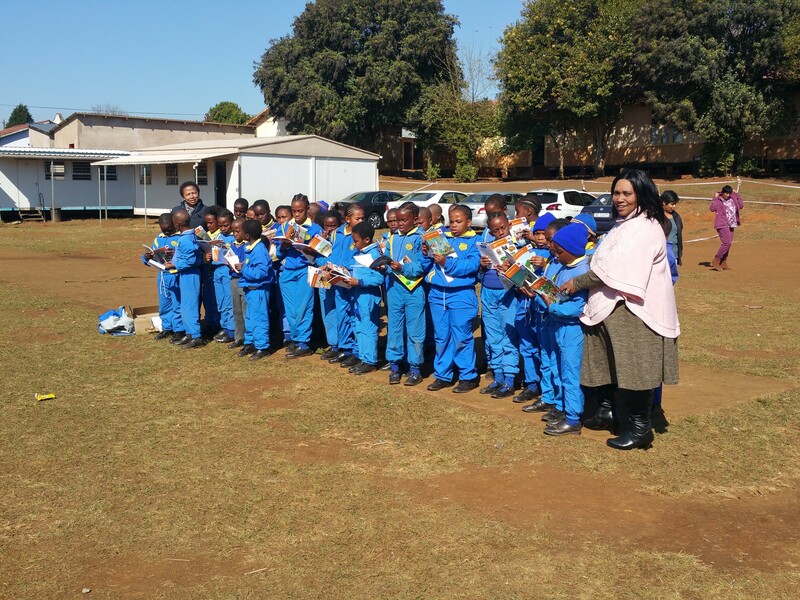 With guidance from the KwaZulu-Natal Department of Education, we selected 100 of the most under-resourced primary schools in the Umgungundlovu District of KwaZulu-Natal to be part of our Mandela centenary celebrations. 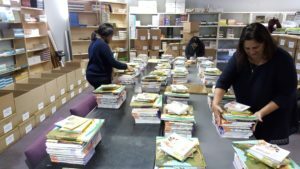 We donated 100 books to each of the 100 primary schools – this amounted to 10 000 new isiZulu storybooks that were distributed to these schools! 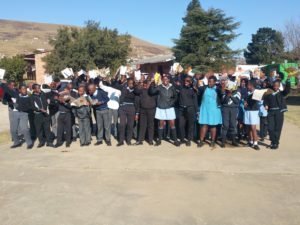 For the majority of the schools, this was the first time they had received support from Biblionef and were invited to apply for additional books if needed. 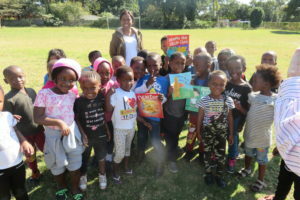 Woolies MySchool granted us funds to support 10 schools in KwaZulu-Natal with quality storybooks. For this project, we partnered with an organisation called Partners for Possibility who focuses on providing support to school Principals in the effort of improving the school’s educational outcomes. The 10 schools selected for this project are currently receiving support from Partners for Possibility and expressed their need for storybooks in their learners’ mother tongue language to encourage them to read. This is where Biblionef was able to support them. 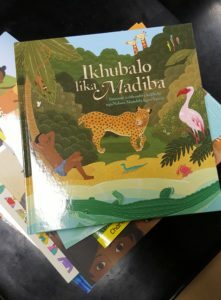 A total of 2045 new isiZulu and English storybooks were donated to the 10 schools. 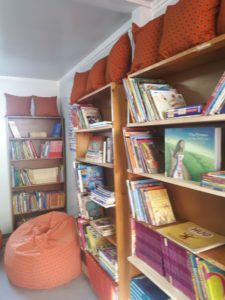 Half of the books were funded by MySchool and the remaining amount was donated by Biblionef to ensure that each school received at least 200 new storybooks for their library. 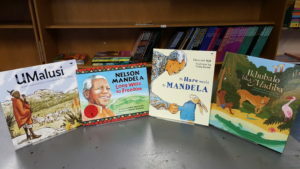 We also ensured that books containing stories about Nelson Mandela were included in the schools’ donation. Our Project Manager, Phoebe Sibomana, along with a representative from MySchool, Simone Gagiano, and Partners for Possibility, Karenne Jo Bloomgarden, were able to visit some of the schools and hand over their resources to them. 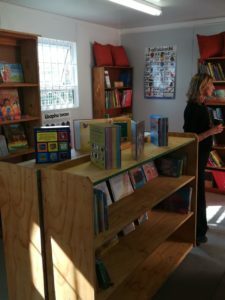 A host of donors came together to provide Langabuya Primary School in Paarl with a new school library. Biblionef was one of the donors and provided the school with some isiXhosa books for their new library. It was such a privilege to take part in this wonderful project! The library officially opened its doors on the 18th of July 2018 and our 2 of our staff members were able to attend the launch. 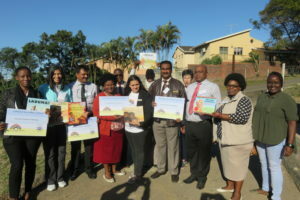 The donors who took part in this project are Val de Vie Foundation, Breadline Africa, The Drakenstein Child Health Study, Solomon Schechter School, West End United Methodist Church and Biblionef SA.